On Tuesday, Apr. 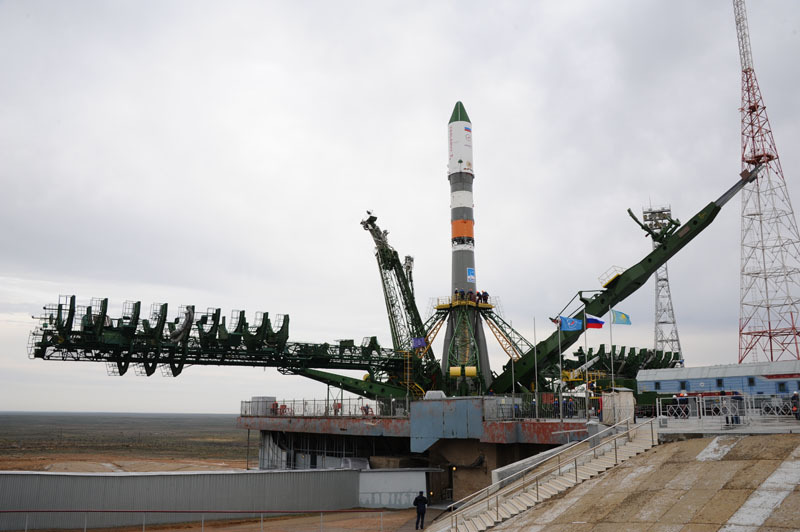 28 at 2:45 a.m. EDT, NASA Television will provide live coverage of the launch of a Russian Progress spacecraft carrying more than three tons of food, fuel, and supplies for the Expedition 43 crew aboard the International Space Station. Launch of ISS Progress 59 from the Baikonur Cosmodrome in Kazakhstan is planned for 3:09 a.m. (1:09 p.m. local time in Baikonur). Following a four-orbit, six-hour trip, Progress 59 is scheduled to arrive at the Pirs Docking Compartment of the International Space Station at 9:07 a.m. It will remain docked to the station for about six months. The Expedition 43 crew will monitor key events during Progress 59’s automated rendezvous and docking. To join the online conversation about the International Space Station and Progress 59 on Twitter, follow @Space_Station and the hashtag #ISScargo. To learn more about all the ways to connect and collaborate with NASA, visit: https://www.nasa.gov/connect.